There are a number exciting films coming out of the Encounters International Documentary Festival this year and, judging from the festival booklet, a real feast of fine South African documentaries. One of these is DFA member Khalid Shamis’ documentary feature The Imam and I. It’s a complex and refreshingly honest portrait of the famous Muslim anti-Apartheid icon Imam Abdullah Haron, who happens to be Shamis’ grandfather. Shamis, born in London to a South African mother and Libyan father, was trained in the UK and Middle East as a writer, director and editor. He settled in South Africa in 2005 and set out on a journey to Cape Town to retrace his grandfather’s footsteps. He chatted to his friend, Dylan Valley, about The Imam, challenges and honoring the legacy of an icon. THE IMAM AND I IS ESSENTIALLY ABOUT THE MEMORY OF YOUR GRANDFATHER, ANTI-APARTHEID STRUGGLE ICON, IMAM HARON. WHAT INSPIRED YOU TO MAKE THE FILM? The answer’s in the question, Dizzle Dazzle, or is it a trick question? Well the Imam has always been a part of my life and has inspired me in many ways. Since I had a grounding in filmmaking, I wanted to use this medium to tell his story – or my story – about him, or a story about us, or my version of his story, or something like that. Anyway, I guess if I was a painter I’d want to paint his picture, or if i was a writer … well, you get my point. I GET THE SENSE THAT IMAM HARON, LIKE MANY STRUGGLE HEROES, ISN’T GETTING THE CREDIT HE IS DUE. WOULD YOU AGREE? Hmmm, yes, I would to some extent. He was awarded an Officer of the Order of the Disa in 2004 by Ebrahim Rasool and I heard that they wanted to name a road after him. Not sure if that equates to credit where credit’s due, but I always somehow felt that if he was properly credited by this country, his country, then this film would have been made a long time ago by someone else. YOU COLLABORATED WITH TALENTED YOUNG ANIMATOR, SHUKRY ADAMS ON A SHORT ANIMATED VERSION OF THE FILM ENTITLED THE KILLING OF THE IMAM. ANIMATED DOCUMENTARY IS STILL A NEW CONCEPT – WHY DID YOU CHOOSE THIS ROUTE AND WHAT WERE THE CHALLENGES? I wouldnt say that it’s a new concept for documentary (Waltz With Bashir and Walt Disney’s Our Friend The Atom spring to mind), But I guess it’s a new concept for documentary in South Africa. The Killing came out of the longer film and was supposed to fill gaps for places I was unable to find archive material for and I didnt want to go the reenactment route. So, to make a film about a specific person who isn’t around anymore, you kind of want to see that person move and act on screen. The cover of the book of the same name was an obvious starting point and reference for me. The challenges are the same for many, if not all filmmakers – time, money and a cohesive story, but within budget and within six weeks. I think we all did a good job and yes, the least I would say about Shukry Adams is that he is talented. And young. 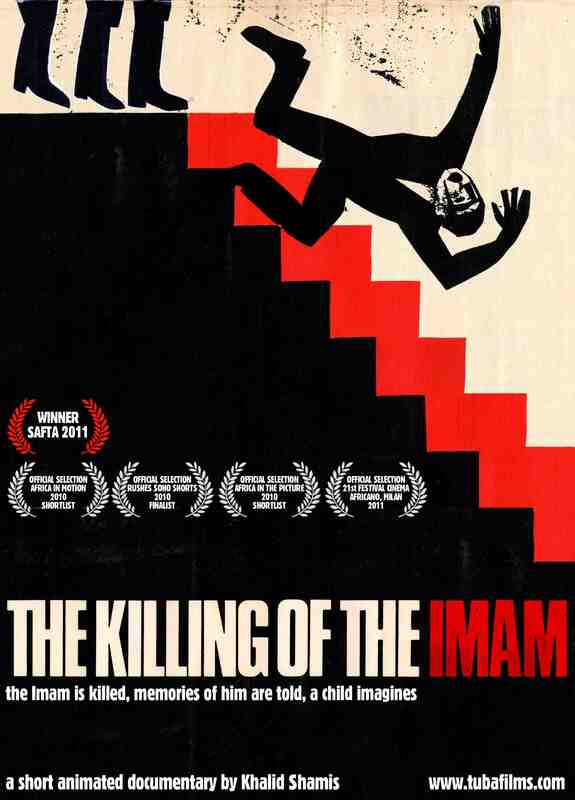 YOU ALSO WON A SAFTA FOR THE KILLING OF THE IMAM SHORT DOCUMENTARY FILM, WHAT WAS IT LIKE TO WIN? WHAT DID YOU SAY IN YOUR ACCEPTANCE SPEECH? It was a good feeling to win. I didnt expect it at all and it is a good honour to know that my grandfather’s story is being recognised in this way. I’m proud that I can honour him somehow – he was a cool guy. When I was given the award, I looked at it and said that my daughter would love it. I didn’t mean to be demeaning, it’s just that my immediate thought was that it’s something she’d enjoy playing with – she’s 9 months old. She doesnt like it. HOW LONG HAS IT TAKEN YOU TO COMPLETE THE FULL LENGTH VERSION? HOW DID YOU FINANCE IT? Imam and I has been a six year project. It’ll be finished by the beginning of June. I say that every year but this year it’s for sure because I’ve booked the online and paid the deposit! It’s an indy project so I’ve financed it mostly myself – about 75%. Bits of monies arrived here and there from family and other individuals when most needed. IKON and Rainbow Circle Films via the SABC helped with The Killing and then the NFVF came in with post prod money. The finance thing is a sore point in places and could be a huge discussion. Not sure if this is the time or place. HOW DID YOUR FAMILY RESPOND WHEN YOU TOLD THEM YOU WERE MAKING THE FILM? They have all been very supportive and happy from day one. Let’s see how they react when they see it! I’M SURE THEIR RESPONSES WILL BE NOTING SHORT OF WHAT YOU SET OUT TO ACHIEVE. HOWEVER, MAKING A FILM ABOUT A FAMILY MEMBER CAN BE REALLY DIFFICULT. WHAT WERE SOME OF THE HURDLES WITH BEING SO CLOSE TO THE SUBJECT? Thanks for pulling out the big ammo Dylan! There are many hurdles, but not so much hurdles as issues. It took a long while to get some of my family to really open up to me about very personal issues and an even longer time for me to open up about my own issues with them and with myself. So, I guess six years was the right amount of time for this. That’s my justification for taking so long, anyway. Being so close meant that for a long time I couldn’t see a story, or I would be confused as to what story I wanted to tell. There is so much that I filmed, edited and scripted that hasn’t made the cut. As an editor, I can easily lose whole sequences in other people’s films, but in my own it’s hard to let go. 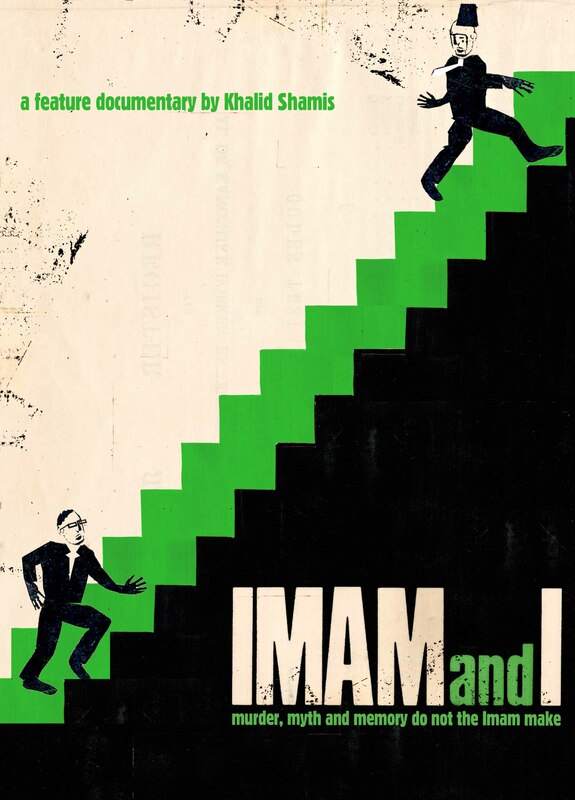 WHEN CAN AUDIENCES EXPECT TO SEE THE IMAM AND I? It’s premiering at Encounters this year and it’s showing at TheDurban Film Festival and the Tri Con. I’ll find any excuse to shove it down your throat. I’ve lived with it for this long and now it’s your turn to deal with it. Er … can I answer that in about a month’s time? Catch Khalid presenting The Imam and I at Encounters in Cape Town at Nu Metro Waterfront on Saturday the 18th and Thursday the 23rd. He will be in Johannesburg at The Bioscope on Tuesday the 21st.